It's official. 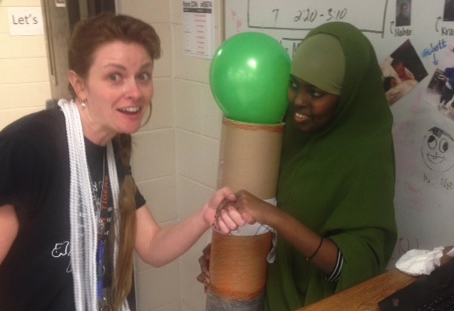 Hiba Hussein is the 10,000th math center visitor of the year. With that title, Hiba, an Intermediate Algebra student, won a hearty handshake from Ms. Woldum, and a cardboard cylinder, very artfully decorated.